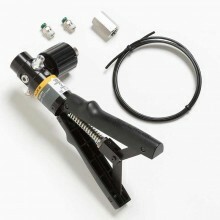 The GE Druck PV212 Hydraulic hand pump offers quick priming and pressure generation using scissor action pump. 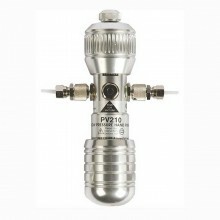 The PV 212 hydraulic hand pressure pump is lightweight, easy to use and generates pressure up to 700 bar. 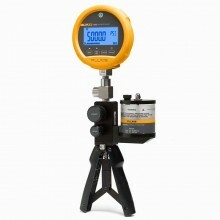 It is an ideal tool for calibrating pressure transmitters, pressure transducers, pressure switches and pressure gauges. 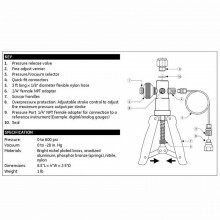 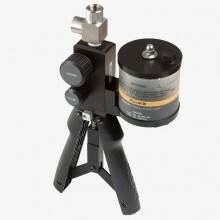 The PV212 Druck hand pump can be used as a portable pressure comparator in conjunction with various pressure indicating devices. 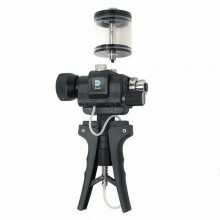 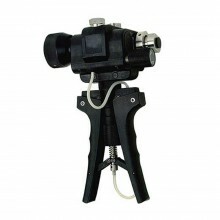 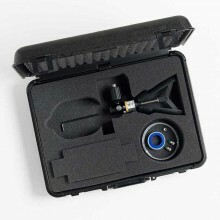 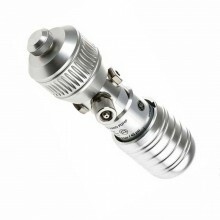 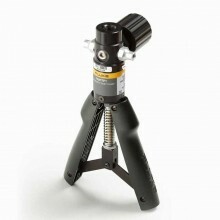 It offers adjustable overpressure protection, fine control and a unique priming/high pressure selector switch. 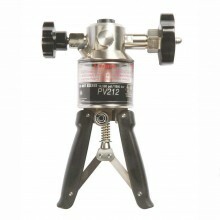 The PV212 hand pressure pump system is a portable source of hydraulic pressure. Each pump includes a reservoir, and a volume control for fine adjustment. 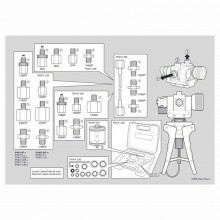 To prevent damage to sensitive instruments, there are five pressure relief valves available for different pressure ranges. 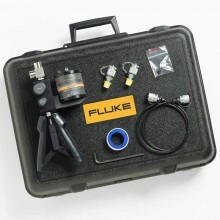 Hydraulic pressure up to 700 bar. 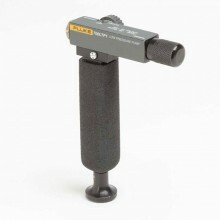 Compatible with many different liquids. 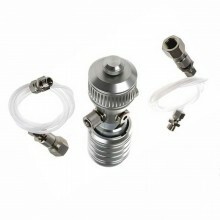 Large transparent 100cc capacity reservoir. 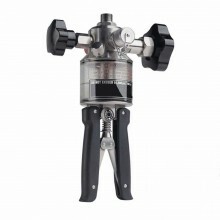 Quick priming and pressure generation using scissor action pump. 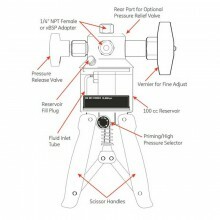 Controlled pressure release and adjustment. 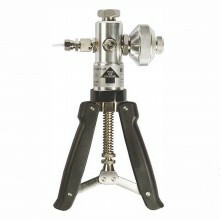 High pressure / priming selector. 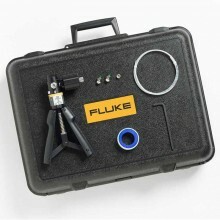 Druck PV212-HP 700bar Hand Pressure Pump Warranty: 1 year. 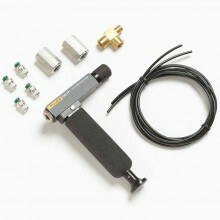 Each Druck PV212 -HP kit includes: PV 212 Hydraulic hand pump and manual, Rigid lightweight transit case, 1 meter length of high pressure self sealing flexible hose rated to 1000 bar with adaptors and a set of brass nickel plated Quick-fit BSP test point adaptors.